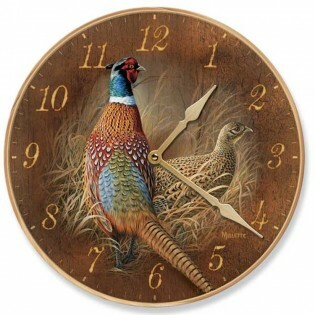 A pair of ring neck pheasants take cover in the tall grass on this decorative clock. The Late Season Pheasant Wall Clock has easy-to-read numerals and decorative hands to complement the colorful face. This cabin clock has precision quartz movement and uses one AA battery (not included).